The U.S. Environmental Protection Agency’s recent Federal Register notice announced the launch of its eDisclosure Portal to modernize the implementation of EPA’s Audit Policy. The Audit Policy allows companies to self-disclose potential environmental violations and to eliminate or reduce the amount of penalties that could result. Because of the large number of violations that are self-disclosed every year, EPA decided to establish an electronic portal to receive self-disclosures and to automate some responses. The eDisclosure Portal defines disclosures as either “Category 1” or “Category 2”. Category 1 disclosures include violations of the Emergency Planning and Community Right-to-Know Act (“EPCRA”) that meet all nine Audit Policy conditions. However, this category does not include chemical releases exceeding the reportable quantity limit that must be reported under EPCRA Section 304, or any EPCRA violations with significant economic benefit. For these disclosures, the system will automatically issue an electronic Notice of Determination confirming that the violations are revolved with no assessment of civil penalties, conditioned on the accuracy and completeness of the submitter’s disclosure. 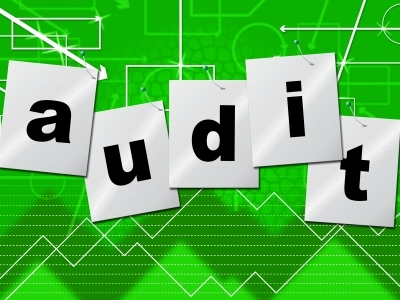 EPA will spot check Category 1 disclosures to ensure conformance with Audit Policy requirements. Category 2 disclosures include (1) all non-EPCRA violations, (2) EPCRA violations where the disclosure can only certify compliance with Audit Policy Conditions 2 through 9 (i.e., the discovery was not systematic), and (3) EPCRA violations excluded from Category 1. For these disclosures, the system will automatically issue an acknowledgement letter noting that EPA has received this disclosure and promising that EPA will make a determination as to eligibility for penalty mitigation if and when it considers taking enforcement action. To use the eDisclosure Portal, companies must follow a three-step process. First, companies must register with the centralized web-based portal (a/k/a the Central Data Exchange system) found at www.epa.gov/cdx. Second, the disclosure must be “prompt,” which means that potential violations must be disclosed online within 21 calendar days of the entity’s discovery that such potential violations may have occurred. Third, companies must submit a Compliance Certification in the disclosure system with 60 days of submitting an Audit Policy disclosure. Companies should carefully consider whether to disclose potential violations because of the potential negative publicity or possible citizen lawsuits by environmental organizations that may be targeting certain corporations. EPA’s approach on this issue is entirely consistent with its Next Generation Compliance Initiative, which seeks to streamline its ability to gather data and easily determine whether companies are complying with environmental laws. However, this approach is not consistent with the original intent of the Audit Policy, which allowed companies to make disclosure without fear of reprisals from outside groups (and from the federal government in terms of reducing potential penalties). Therefore, the end result will likely be that companies will disclose fewer violations, only disclose those that meet all of the Audit Policy criteria, and which the company has a complete handle on how the violation will be corrected. Perhaps that was the motive for EPA’s change and implementation of this eDisclosure Portal in the first place. Stay tuned to the Illinois Environmental Law Blog for more news and developments. To subscribe to this blog and sign up for a free newsletter, please type in your e-mail address in the box located above. To set up a free initial consultation to discuss your legal matter, please contact Chicago environmental attorney Dave Scriven-Young at (312) 239-9722 or dscriven-young@pecklaw.com. Designed and Developed by Mediavine Marketing . Copyright © 2011, Dave Scriven-Young. All Rights Reserved.